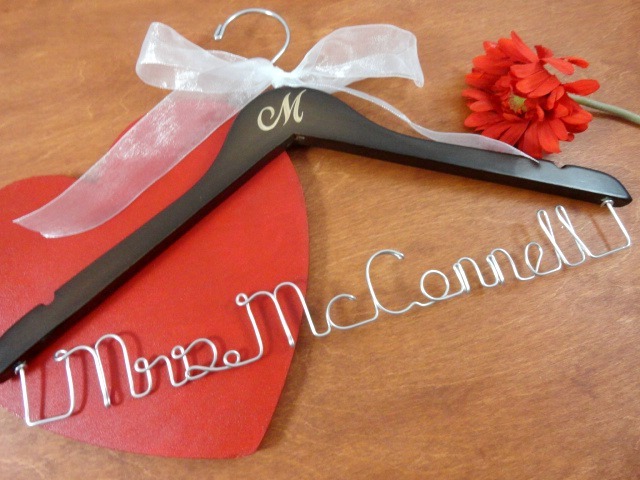 I created a customized hanger just for her. 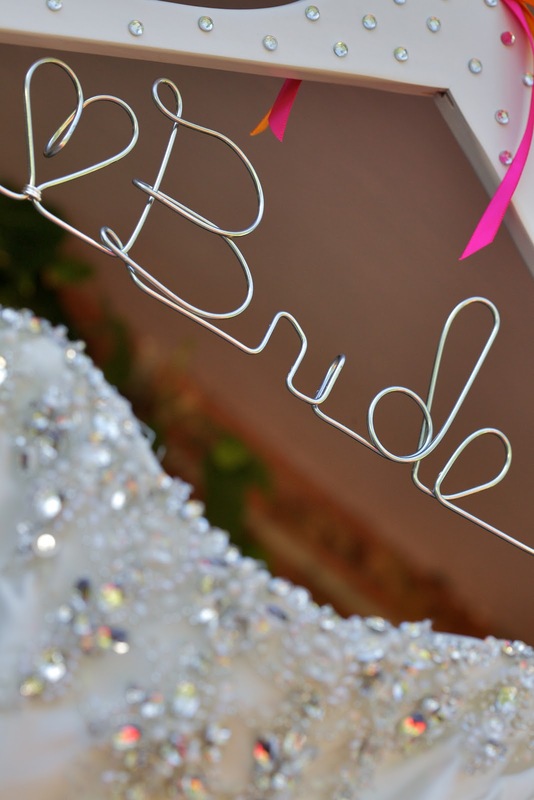 She requested a light pink with lots of bling. 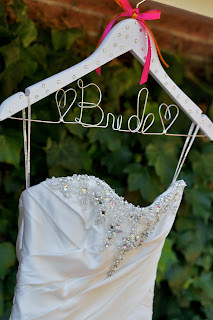 I added several Swaroski flat back hotfixed crystals to her hanger. 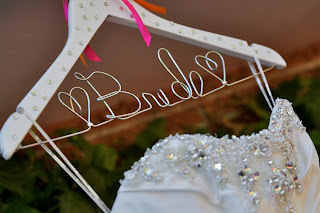 It looked lovely with her wedding dress. Wedding dress hangers have now become a very import bridal accessory for your wedding day. 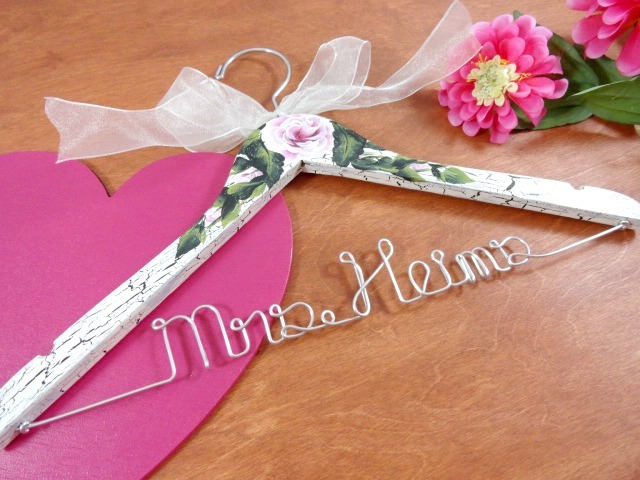 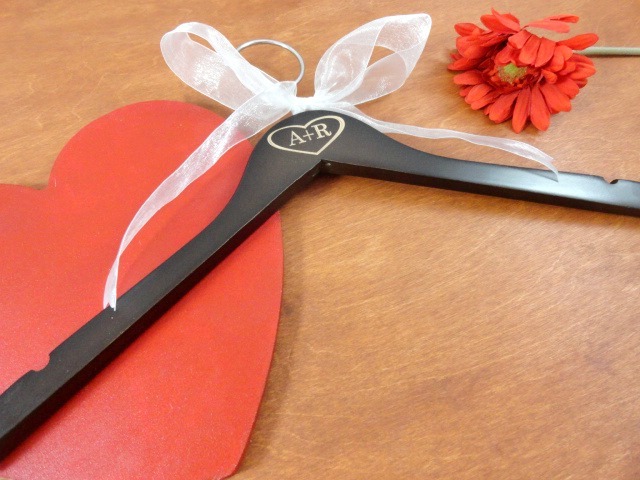 Do not forget to order your hanger for your upcoming 2013 wedding. Enjoy yours as much as this bride did!